 The Balboa Reservoir project is a public-private partnership with the City of San Francisco to develop a 17-acre parcel located adjacent to CCSF and currently owned by the San Francisco Public Utilities Commission. Balboa Reservoir will transform land that is presently being under-utilized as a parking lot into a vibrant new community affordable to a wide range of residents. As we work with the community to refine the plans for this new community, our proposal is constantly evolving. The illustrations on this page show a site plan option, labelled as Draft Base Plan, that has been updated from our initial 2017 proposal site plan based upon significant community and City input. This Draft Base Plan represents one way that all of the pieces fit together and are intended as a new starting point for further community and City input. This is not the final plan. Approximately 1,100 homes, 550 of which are affordable to low and moderate income residents. Approximately 4.2 acres of total open space, with a 2-acre central park oriented east-to-west. A child care center for approximately 100 children. Approximately 100 for-sale townhomes adjacent to Westwood Park. 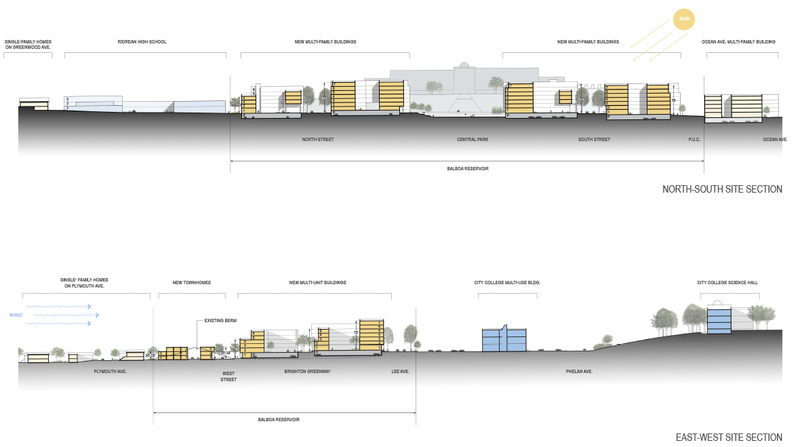 Pedestrian-oriented spaces with streets and auto/bicycle circulation at the perimeter. Connections to Ocean Avenue via Lee, Brighton, and the Ingleside Library Garden pathway. 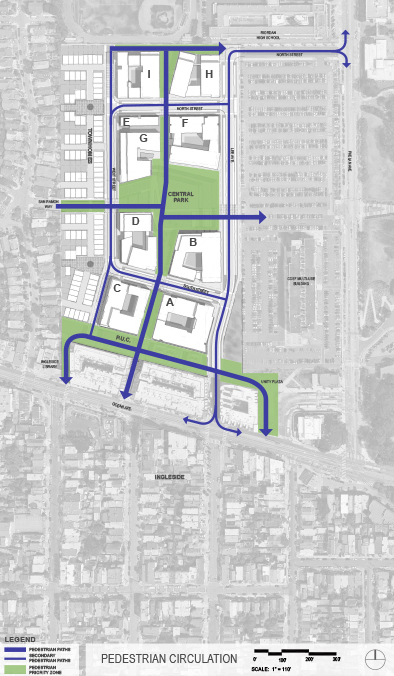 A public-serving parking garage for City College community members, new residents, and members of the public, with a number of spaces to be determined based upon on-going parking counts and traffic analysis. Open space is a key component of Balboa Reservoir. 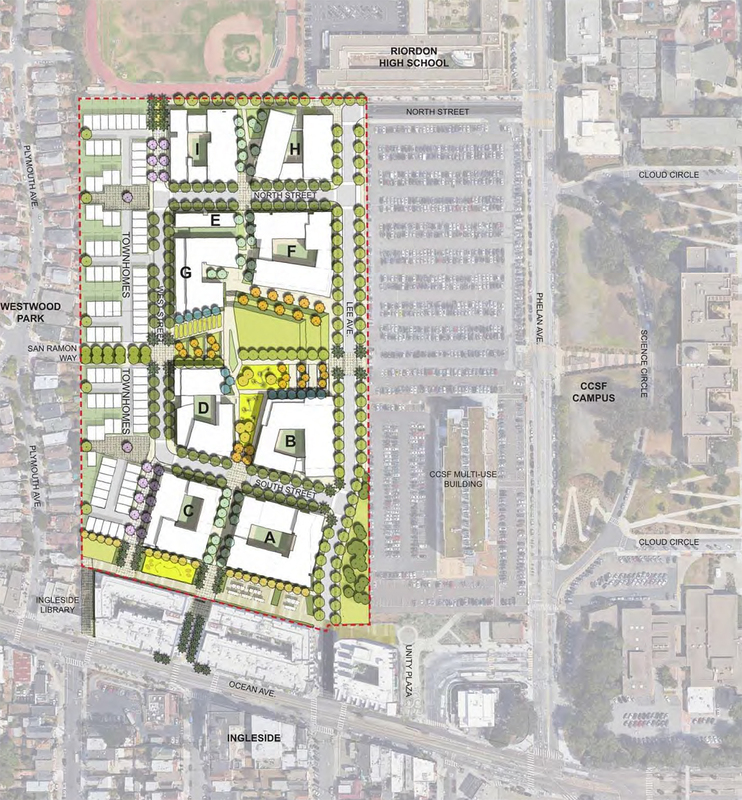 A 2-acre central park will serve as the heart of the community, while a SFPUC parcel is envisioned as a 1-acre active parkthat includes pedestrian greenways to promote walking and connections to adjacent neighborhoods. A 2-acre public park will be the heart of this new community. 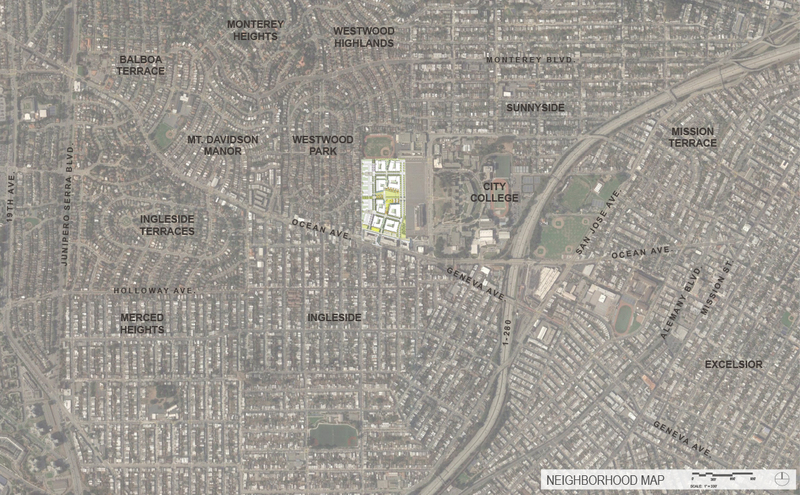 Features include a strong connection with CCSF and the Sunnyside and Ingleside neighborhoods and buildings sheltering the park from the prevailing winds while preserving views to the west. The park will include large green spaces and play areas. The shape, location, and programmatic contents of the park are still flexible. 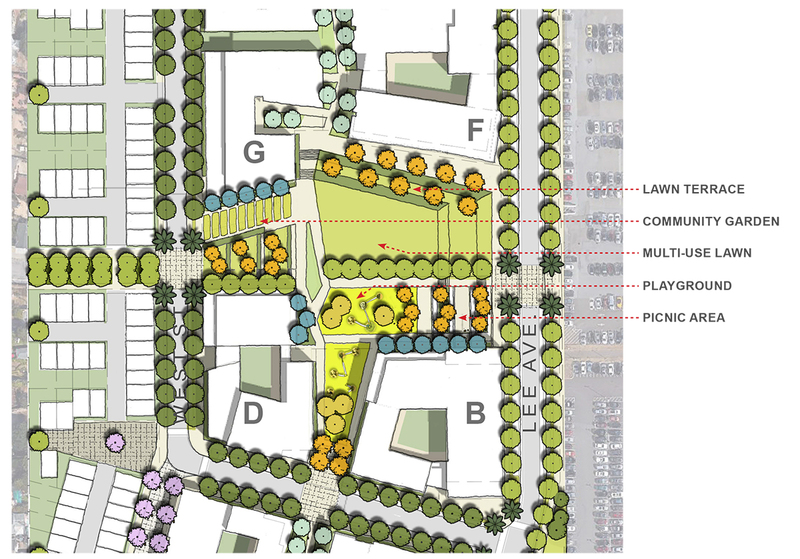 Developed in collaboration with the SFPUC and the community, this 1-acre parcel is envisioned as an active park providing continuous pedestrian connection from Unity Plaza to the Ingleside Library Garden with a wide range of creative uses to be considered. Making the modes primary is the key to the success of this project. Direct connection to the MUNI Plaza and to BART beyond along with four connections to shopping on Ocean Avenue. Strong east west connection to CCSF. Neighborhood connections to Westwood Park and Sunnyside. All these external connections are supported by this pedestrian priority zone at the heart of the neighborhood. Pedestrian circulation is not just another form of transportation infrastructure – it is actually open space that people can experience as part of their daily travels. Bike circulation is another critical element of reducing reliance on automobiles, and if carefully designed, can be fully compatible with our emphasis on pedestrian circulation. Lee Avenue would offer Class 2 bike lanes on each side of the street, providing a great route through the neighborhood from Ocean Avenue to Phelan and Sunnyside. 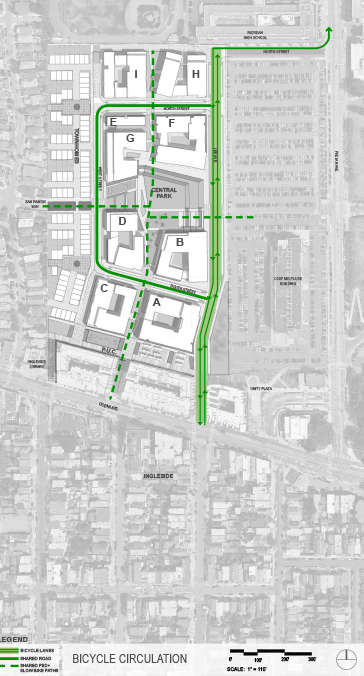 The main pedestrian ways will be designed to be wide enough to be shared by bikes. Auto Circulation: Limit vehicle circulation to the perimeter of the site. Auto Congestion: Auto congestion already exists. We want to make sure we do what we can to help address that issue. CCSF Parking: We will work with CCSF to make sure they have the parking they need. This will take effort to do the analysis and work through the options, and the solution will be implemented over time, with necessary adjustments as we go along. Residential Parking: Parking spaces will be available underneath the new residential buildings at a ratio of one parking space for every two homes. 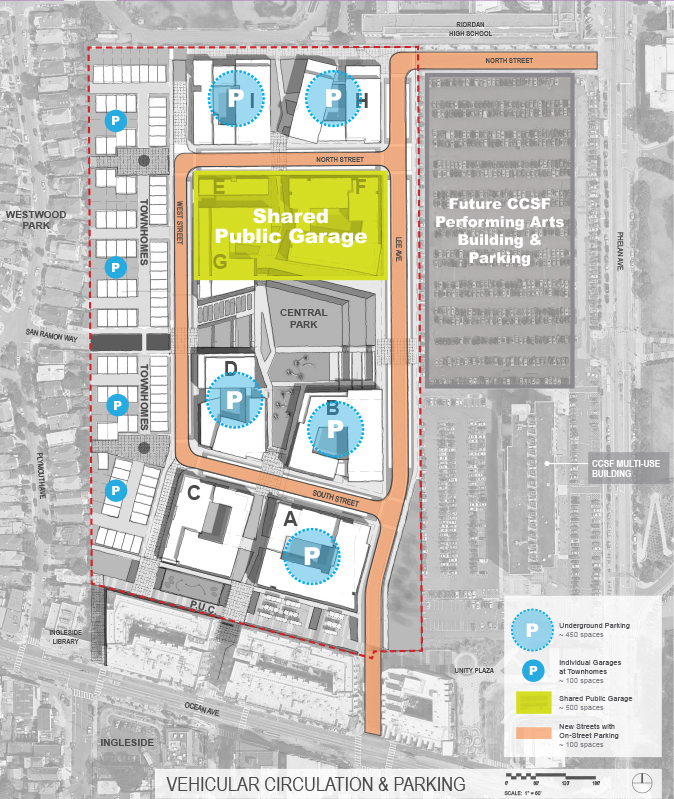 Public Parking: A public parking garage, initially proposed with 500 spaces, would be available for City College students, staff, and faculty, existing neighbors, and new residents. 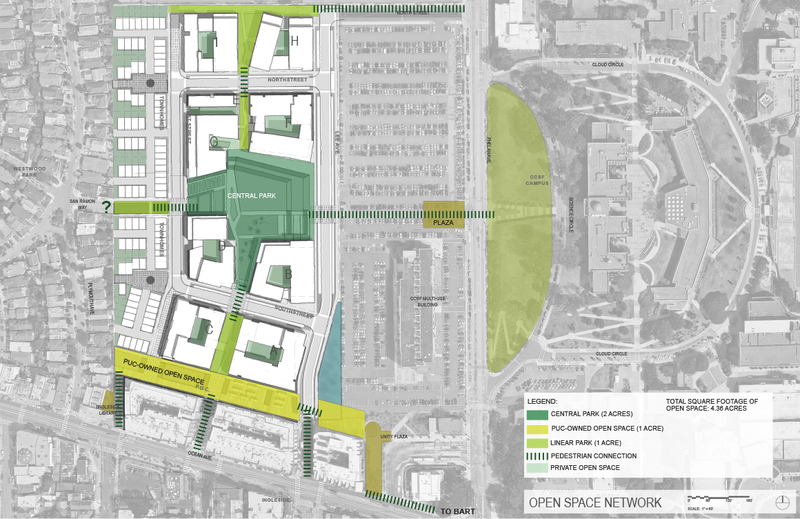 The 500 proposed spaces would be in addition to the parking spaces available to new residents in the new buildings. Street Parking: If our residents are parking on your streets then this project is not going to be successful.